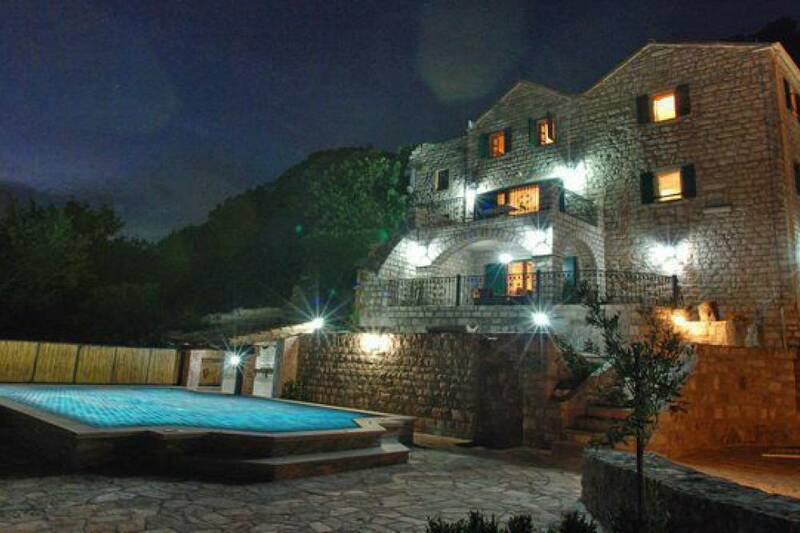 This beautiful and extremely spacious stone built villa in the best Montenegrin country villa tradition is located on a hill above the picturesque island of St Stefan and the wonderful sandy Montenegro beaches. The villa is situated in a large garden surrounded by stone walls and artisan crafted wrought iron fences and gates and it has amazing sea views from the rooms and its numerous terraces. Inside quality materials, décor and furnishings are used throughout. An elegant marble hallway with a guest cloakroom has a beautiful staircase which leads to the raised ground floor with a large sitting room with marble floors, rugs, sofas and armchairs and the windows looking out at the sea. It contains cable TV/DVD player, music centre and is a lovely place for the guests to gather. The sitting rooms opens out onto a large terrace for outdoor dining, and socialising whilst enjoying the views of the Budva Riviera. The kitchen is equipped with fridge freezer, hob and oven, dishwasher, microwave, coffee machine, kettle and a toaster, good cooking utensils, plates and glassware. The cream coloured dining room is furnished with classical antique furniture typical for well to do Montenegrin homes of the 19th century and has a dining table that can sit eight people comfortably. There is also a separate office with a desk, safe, internet and a doorway to the terrace with sea view. 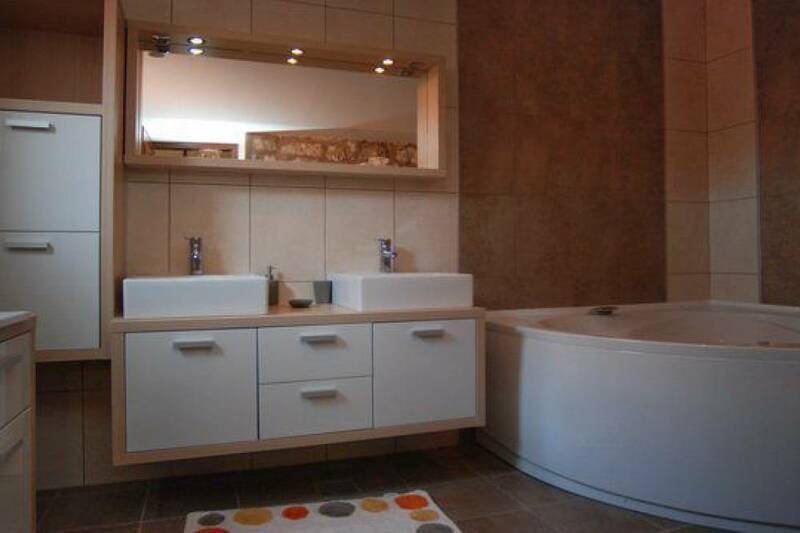 Upstairs there are four large bedrooms each with an en-suite modern bathroom. The bedrooms have excellent double beds, luxurious bed linen and plenty of towels. The garden is large, gated and covered in lawn, palm trees, Mediterranean flowers and full of various terraces and private sun traps. A pool and a large pool terraced are in front of the villa, surrounded by sunbeds and sun umbrellas. There is a barbecue and an outdoor dining table.